So many homeowners in Southern California turn to Wolf and Sub-Zero appliances to keep their homes running smoothly. But even the best home appliances eventually need to be serviced. Whether your Wolf or Sub-Zero appliance stops working perfectly or it stops working at all, call American Appliance Repair at 800-640-9934 for fast, reliable repair services. We can often schedule your repair appointment for the same day you call, so don’t hesitate to give us a call at 800-640-9934 to schedule yours. Wolf and Sub-Zero appliances are a cut above the rest. They’re not the least expensive option, to say the least, but many people have found that their premium features, incredible functionality, and excellent warranties make them worth the investment. At the Wolf and Sub-Zero company, there’s an emphasis on craftsmanship and durability that makes them truly unique. 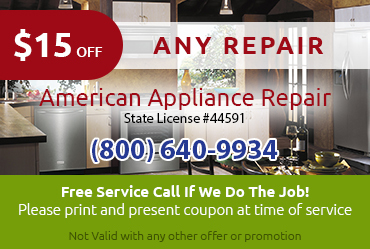 Just like the Wolf and Sub-Zero company, so many people in Southern California have relied on American Appliance Repair over the years. When you choose American Appliance Repair, you’ll be able to rest assured that your appliance will be in highly trained hands. Various of our experienced technicians have specialized in Wolf and Sub-Zero appliances, so they always stay abreast of all the technological innovations that occur with each make and model that comes to market. When top quality, reliability, and durability are important to you, you choose high end appliances from excellent brands like Wolf and Sub-Zero, and you choose premium appliance repair services from American Appliance Repair. 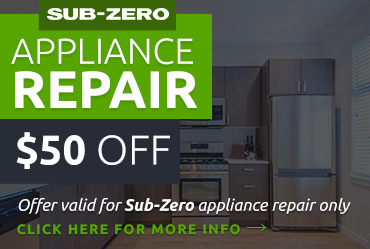 Get your Wolf or Sub-Zero appliance back to perfect working order in no time when you rely on American Appliance Repair. We’ll be happy to schedule your appointment the same day you call 800-640-9934. Almost all repairs can be accomplished within one short visit. You’ll be back to your usual routine again in no time! Often, Wolf and Sub-Zero appliances simply require a part to be replaced to get back to ideal working order. If that happens to be the case with your appliance, you’re in luck if you choose American Appliance Repair for your repair needs. That’s because our technicians drive trucks that are always well-stocked with all the most-often-needed Wolf and Sub-Zero replacement parts. So, in most cases, the technician will be able to just walk out to their truck, locate the necessary part, and install it right away. 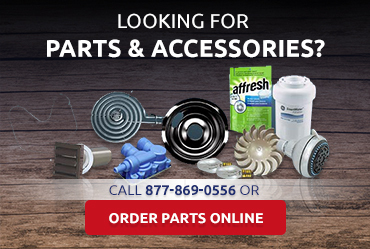 There’s no need to wait around for a replacement part to be ordered or to get back onto the schedule for another appointment when you use American Appliance Repair for all your Wolf and Sub-Zero repair needs. Now is the time to get your Wolf or Sub-Zero appliance back to perfect working order. 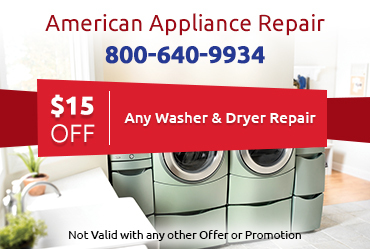 Call American Appliance Repair at 800-640-9934 to schedule your service call today. We serve many parts of San Bernardino, Riverside, and Los Angeles counties.